Deputy Defense Minister: Preparations for focused defense of Adam and all settlements; Hamas realized it will pay unprecedented price. Deputy Defense Minister MK Eli Ben Dahan talked to Arutz Sheva about security in Judea and Samaria following the murder of Yotam Ovadia Hy"d, and the issue of a possible security escalation in Gaza in view of the sniper fire of recent days. 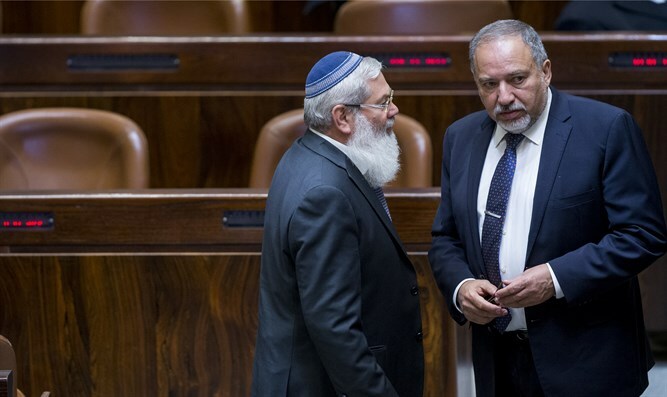 At the outset the Deputy Minister referred to settlement security and noted "there's a broad plan approved by the Defense Minister, the Keshet Yehonatan program aimed at protecting the settlements and the roads leading to them. The plan is comprehensive and large-scale, but unfortunately costs a lot of money, and we're now considering providing the first step that costs about NIS 250 million, with the overall plan costing several billion shekels." The Deputy Minister added that focused work is being done on the village of Adam in light of its sensitive location and to find a focused defensive solution for the area from which the murderer arrived. "Adam is located near Hizma, where there is a fence that alerts to indications of contact. In the area from which the terrorist arrived there's a 'stupid fence' that doesn't give an indication of whether someone crossed it or not. We're looking at the possibility of providing a solution to this area so there won't be a situation where it will be possible to penetrate from there into the community." The Deputy Defense Minister adds that "It's important to know there's a Bedouin encampment in this area, that the Bedouin themselves chased the terrorist and tried to prevent him from entering the settlement and that they didn't succeed," he said, adding that "they understand a terrorist attack also puts their reality in danger. They understood the meaning of a terrorist who entered the settlement; they acted responsibly and pursued him." As for the overall plan for settlement security, the Deputy Minister notes that "the plan was presented to the Defense Minister a few months ago, and he approved it and ordered it to be advanced. We're advancing it albeit slowly because of the budget, but parts of it are already being implemented." 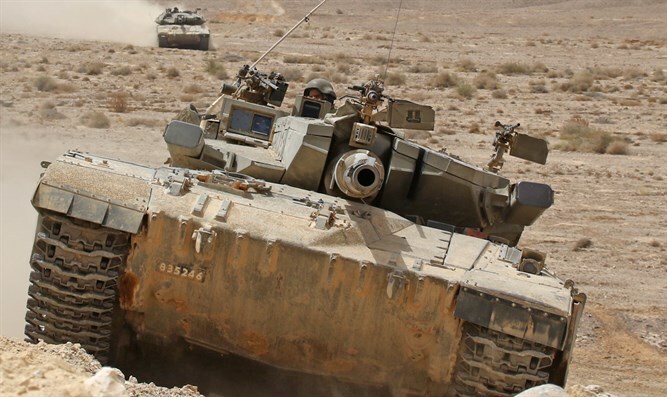 The Deputy Minister went on to discuss the Gaza border in light of daily consultations held by the IDF and the Defense Ministry, and in light of the sniper fire that took the life of St.-Sgt. Aviv Levi, and a few days later an IDF officer was wounded. "The world is beginning to treat Gaza differently, which can be seen clearly in the attitude of the UN envoy to the Middle East. He's like most UN and EU envoys: Before they arrive in Israel they know the bad side is Israel and the good side is the poor Palestinians, while in the last few months he and the entire world learned the situation is completely different. "President Trump and countries around the world would have been willing to invest a lot of money to rehabilitate the Gaza Strip, improve infrastructure, arrange jobs, but they found out the only thing preventing all this economic aid is Hamas, who wants to get the money and invest it in terror infrastructure, tunnels, purchasing weapons, missiles, and rockets to harm Israel." Rabbi Ben Dahan noted that "Hamas invested $45 million in the 'marches of return' operations - that didn't succeed - instead of investing in employment and the economy. He says the understanding that this is the case also led to UN resolutions being adopted in a different spirit than in the past. He believes "in the future the world will disregard what's happening in Gaza more openly, because there's a desire of the superpowers and the United Nations to improve the situation and Hamas prevents it. "From the operational point of view, Hamas intends to create a reality in which tens of thousands of people march from Gaza to the border fence, cross it, and enter communities. This intention was thwarted. The IDF prevented an Arab from entering Gaza, and the IDF succeeded in an extraordinary way. Kite terror, too: In the first period, this terror was carried out by children and the IDF didn't try seriously to prevent this. But in recent weeks, certainly after the Cabinet directive to prevent kite terror, their number has decreased. If there were once a few dozen cases a day, today these are only a few cases." As for how the IDF blocked this channel of terror, Rabbi Ben Dahan says, "There's shooting. It turns out that the people behind the kites are adults and not children. Since this is clearly terror, the IDF shoots at every attempt to fly kites. It's not just that Hamas members happen to be getting killed in Gaza. To this we can add the threats that the IDF sends through the UN envoy and through Egypt, making clear to Hamas that any terrorist act it carries out will be met with great severity. This is the reason for the drastic decline. I hope it'll end soon." In Rabbi Ben Dahan's estimation the fear of an approaching campaign that reached its peak a few days ago has fallen. "Hamas understands if there's another round it will pay a price that it never paid, and the defense establishment will not be able to restrain itself and behave in a moderate manner. Therefore the message was clearly conveyed and influenced Hamas and the direction is toward calm."